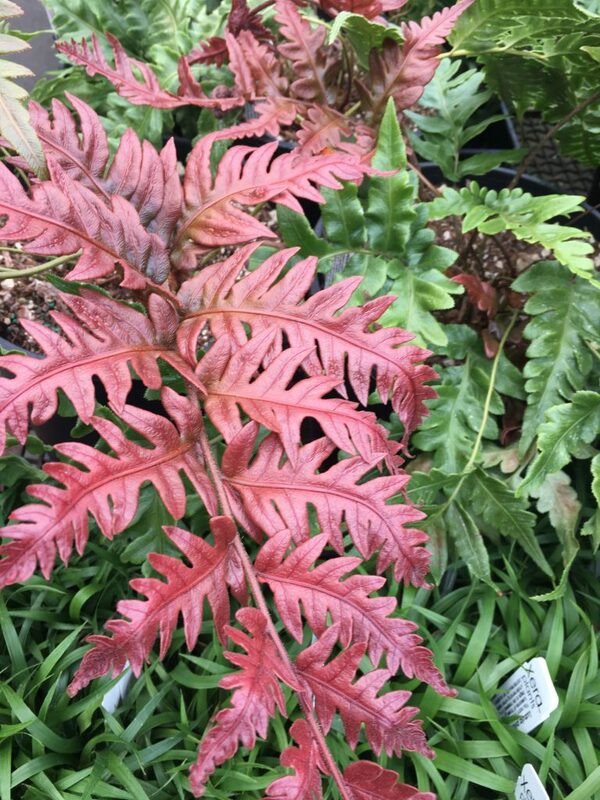 Relatively new fern with a great future ahead. 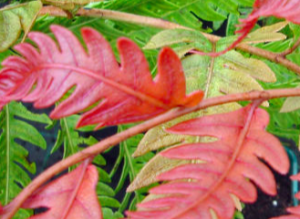 Large growing evergreen chain fern from Asia with new growth lavishly dyed red- it settles to soft green with time. To 3′ across the fronds are held atop relatively long stems. The rubbery green leaves are finely divided with surprisingly soft lobes. Rich, moisture retentive soil in bright shade to shade. Spectacular plant at all times we have observed it. So far it has not suffered damage in my garden below 10ºF and appearance following a rough winter was good. Highly deer resistant. Spectacular.